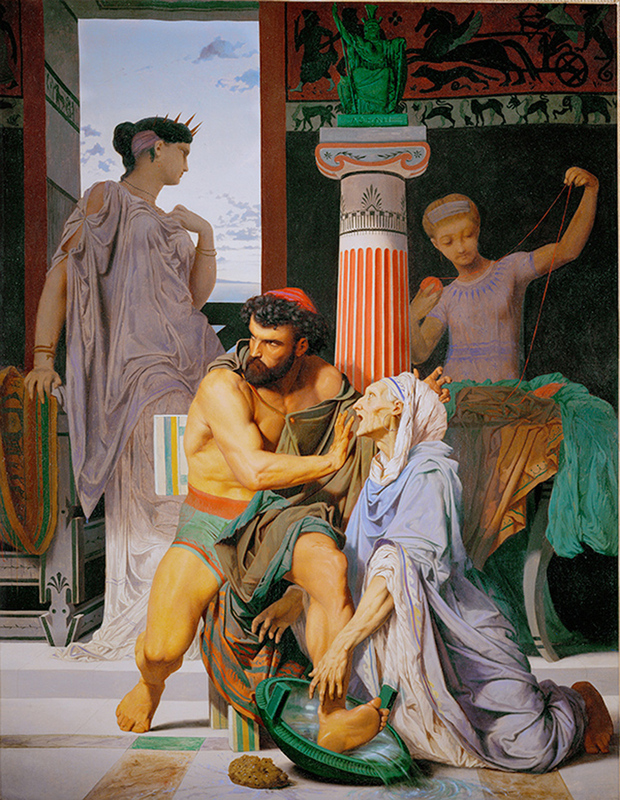 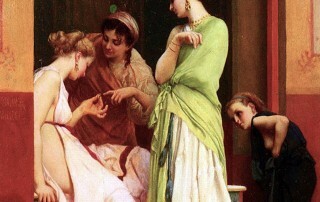 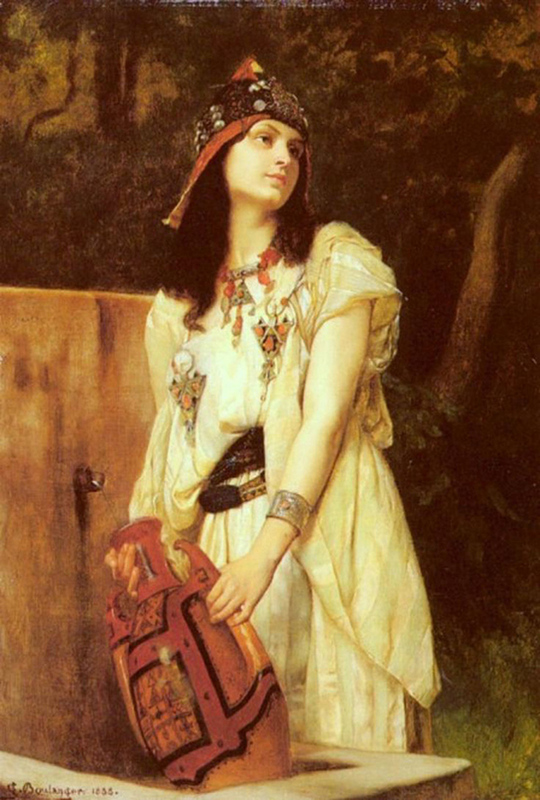 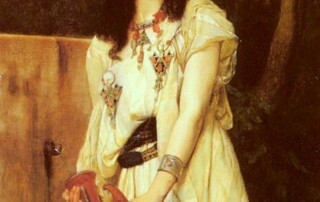 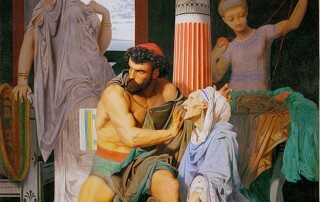 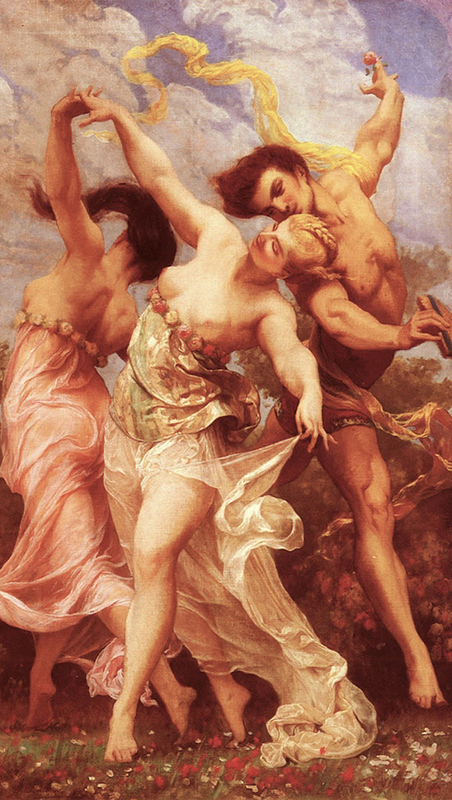 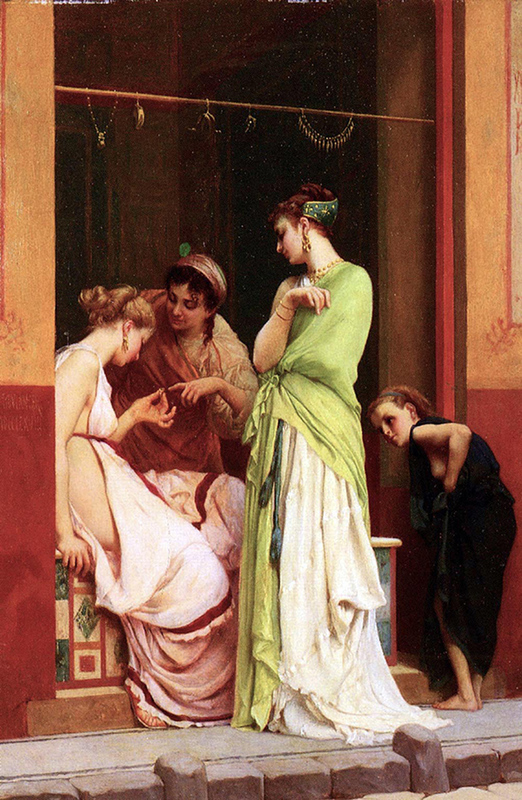 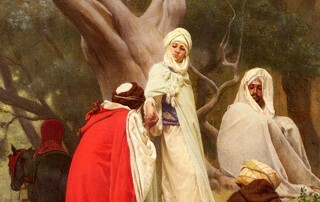 Gustave Boulanger became an orphan at 14 and entered the studio of Paul Delaroche two years later. 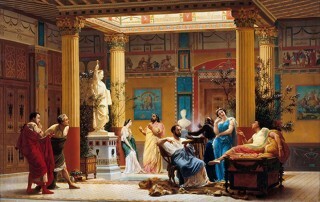 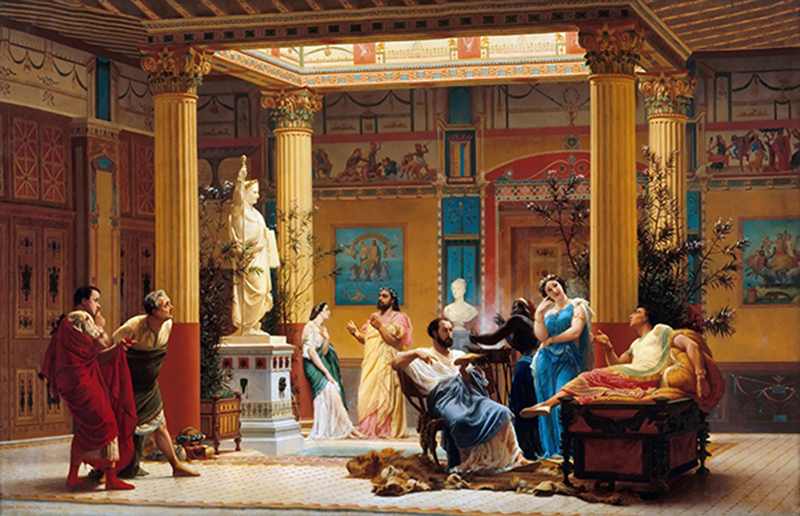 A lifelong friend of Jean-Léon Gérôme, another Delaroche student, Boulanger painted similar subject matter– genre scenes set in ancient Greece or Rome –and contemporary subjects based on his travels through North Africa. 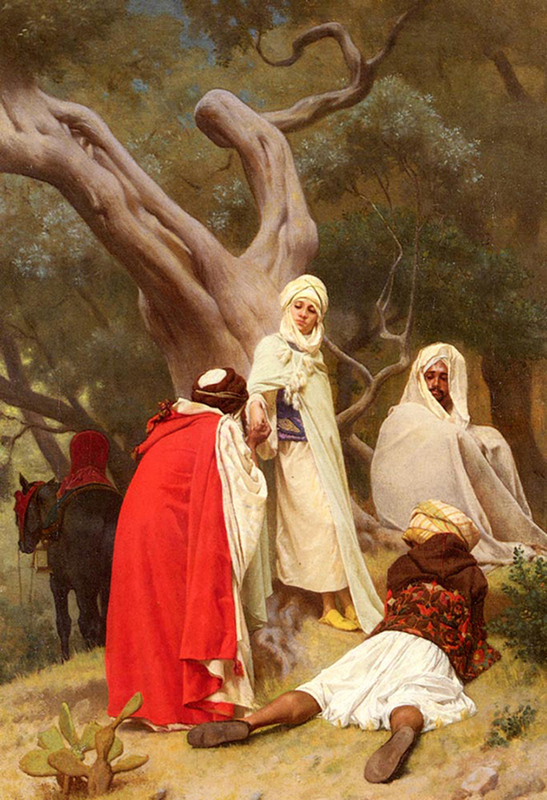 Boulanger’s experiences in Algeria provided him with information and inspiration that resulted in elaborate compositions, filled with precise details of architecture, clothing, and other objects, bringing a feeling of authenticity to his tranquil narratives. 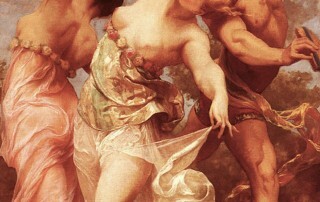 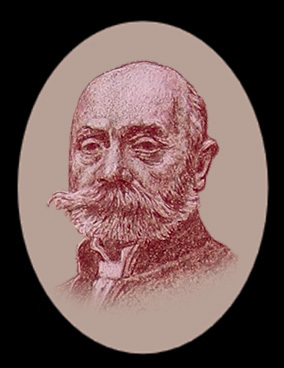 As a teacher at the Académie Julian, he was teamed with Jules-Joseph Lefebvre and, like Lefebvre, stressed accuracy and elegance of drawing.